President Muhammadu Buhari says members of the All Progressives Congress (APC) who were aggrieved over the primaries for the 2019 elections are free to seek redress in court. The president said this one week after the national working committee (NWC) of the ruling party threatened to punish members who filed legal action against the party. The NWC had asked aggrieved party chieftains to resolve their disagreement with the party internally. “We strongly advise such members to withdraw all court cases, while approaching the appropriate party organs with a view to resolving any outstanding disputes,” the committee had said in a statement. 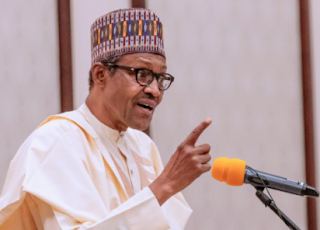 But in a statement, Femi Adesina, Buhari’s spokesman, quoted the president as saying the courts remained the last option for the amicable resolution of disputes. He insisted that the party must allow the aggrieved members to fully explore their democratic and legal rights. “We can’t deliberately deny people of their rights. We agreed that party primaries should be conducted either through direct, indirect or consensus methods, and if anyone feels unjustly treated in the process, such a person can go to court,” he said. He expressed dissatisfaction with the position of the NWC. Governors and some members of the national assembly fell out with the NWC led by Adams Oshiomhole after the primaries.